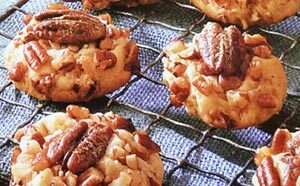 This is a wonderful recipe for butter cookies with pecans from one of my favorite cooking magazines, Everyday Food . 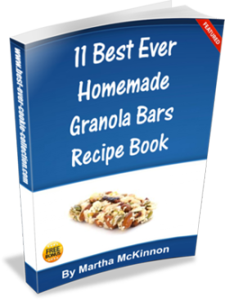 Every month it's full of easy everyday recipes that are both practical and delicious. 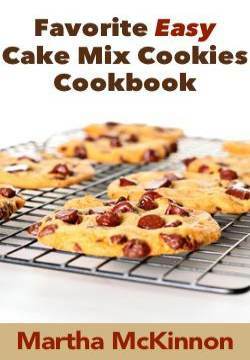 The last page always has a new "Cookie Jar" cookie recipe! These crunchy buttery cookies practically melt in your mouth. 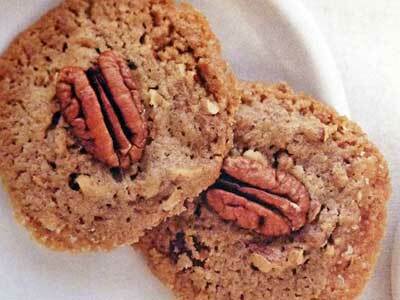 If you like shortbread cookies and pecans, you will love these Butter Pecan Cookies. Preheat oven to 350F degrees. On a parchment paper lined baking sheet, toast pecans until you begin to smell them, about 6 minutes. Remove pan from the oven and let them cool completely. Transfer the cooled pecans to a cutting board and chop them until fine. In a large bowl, beat the butter and 1/3 cup sugar with an electric mixer, until light and fluffy, about 1 minute. Beat in the vanilla, salt, and flour just until the dough comes together. Scrape down the sides of the bowl with a rubber spatula to make sure everything is incorporated. Stir in the pecans just until they are distributed through the dough. Separate the dough into 12 pieces and squeeze the dough to shape into balls. Roll the balls of cookie dough in sugar. Place the balls of cookie dough 3 inches apart, on a baking sheet. Gently flatten with the bottom of a glass (reshape sides if they crack). Sprinkle with a little more sugar. Remove from the oven and sprinkle with more sugar. These sugar-dusted cookies are timeless classics that are popular in many different countries and cultures and they go by various names such as Mexican Wedding Cakes, Southern Pecan Butterballs and Viennese Sugar Balls. Perfect for parties or for gift giving - just slip them into small foil candy cups and pack them into an attractive Cookie Tin or Gift Box . Preheat oven to 325F degrees. Lightly grease baking sheets or use parchment paper lined baking sheets. In a large bowl, using an electric mixer or a spoon, cream together the butter and sugar until light and fluffy. Add the vanilla, salt, flour and nuts and mix well. Roll the cookie dough into 3/4-inch balls and place on prepared baking sheets, spacing them about 1 1/2 inches apart. Bake the cookie sheets one at a time for 15 to 18 minutes, or until lightly browned. Remove from oven and transfer cookies to wire racks and cool slightly. 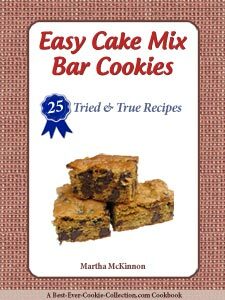 Place the still warm cookies on a sheet of parchment paper or aluminum foil and heavily dust with powdered sugar shaken through a sieve. This recipe makes about 3 dozen Pecan Snowdrop Cookies. This is an easy drop cookie recipe for buttery pecan cookies. Preheat oven to 325F degrees and line cookie sheets with parchment paper, set aside. In a large mixing bowl, beat butter and brown sugar on medium until smooth, about 3 minutes. Gradually add in sifted flour and salt mixture while beating on low. Stir in chopped pecans until well combined. Using 1 1/4-inch small cookie scoop, drop dough onto prepared baking sheets about 3 inches apart. Press one pecan half into the center of each cookie. Bake the cookie sheets, one at a time, for 12 to 15 minutes, rotating sheets 180 degrees halfway through baking time. Remove from oven and place sheet on wire rack to cool completely. Store in an airtight container - between layers of parchment paper - at room temperature. This recipe makes about 3 dozen Butter Pecan Drop Cookies. As a substitute for the self-rising flour, place 1 1/2 teaspoons baking powder and 1/2 teaspoon salt in a measuring cup and then add all-purpose flour to equal 1 cup. This will equal one cup self-rising flour. Preheat oven to 325F degrees and line cookie sheets with parchment paper and set aside. Place chopped pecans and 1 tablespoon butter in baking pan and bake for 5 to 7 minutes, or until pecans are toasted and browned - stirring frequently. Remove from oven and cool. In a large bowl, cream the dark brown sugar and 1 cup butter until light and fluffy. Add the egg yolk and vanilla and mix until combined. Gradually add in flour and mix well. Cover and refrigerate dough for at least one hour, or until it's easy to handle. Roll dough into 1-inch balls, then roll in toasted pecans - pressing nuts into dough. Place pecan-coated dough balls onto prepared baking sheets, spaced about 2 inches apart. Dip pecan halves in egg white and then gently press one into center of each ball. Bake at 375F degress for 10 to 12 minutes, or until golden brown. Allow cookies to cool on sheets for 2 minutes before transferring to wire racks to cool completely. This recipe makes about 4 dozen Award-Winning Butter Pecan Cookies.